is honored on Panel 27W, Line 1 of the Vietnam Veterans Memorial. This week I visited the wall. I left a ships coin below your name. It was my honor to have served on a ship which bore your name. RIP warrior. I served aboard USS Peterson, DD-969. 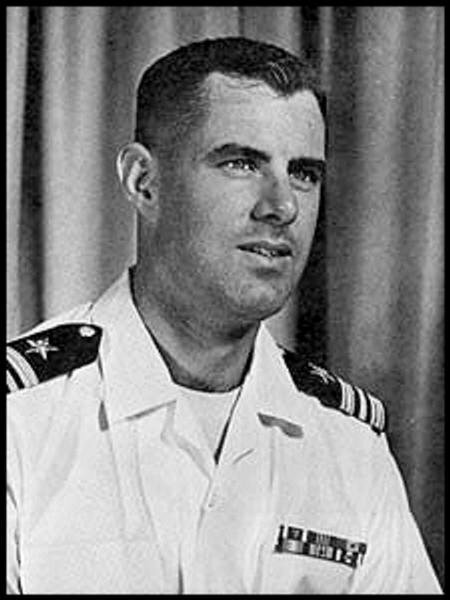 It was a pleasure to serve in LCDR's honor, and to this day my shipmates seek ways to continue honoring him and his family. Peace & Blessings. This is the first of four photos that I will send to you. 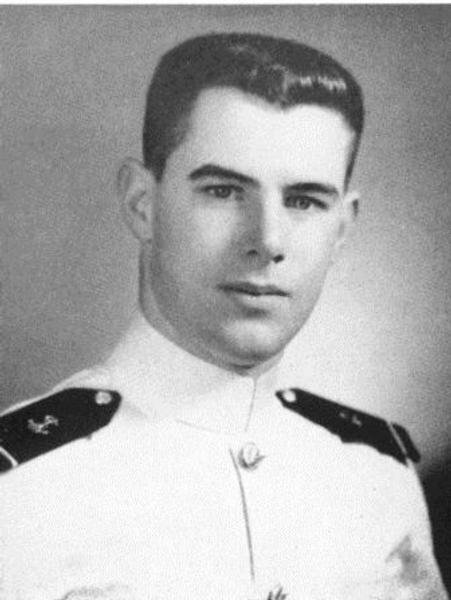 All are graduation photos of members of the U.S. Naval Academy Class of ? who lost their lives in Vietnam. This one is of Carl Peterson.